I don’t know if you’ve ever tried to measure a cat, but it’s not an easy endeavour. 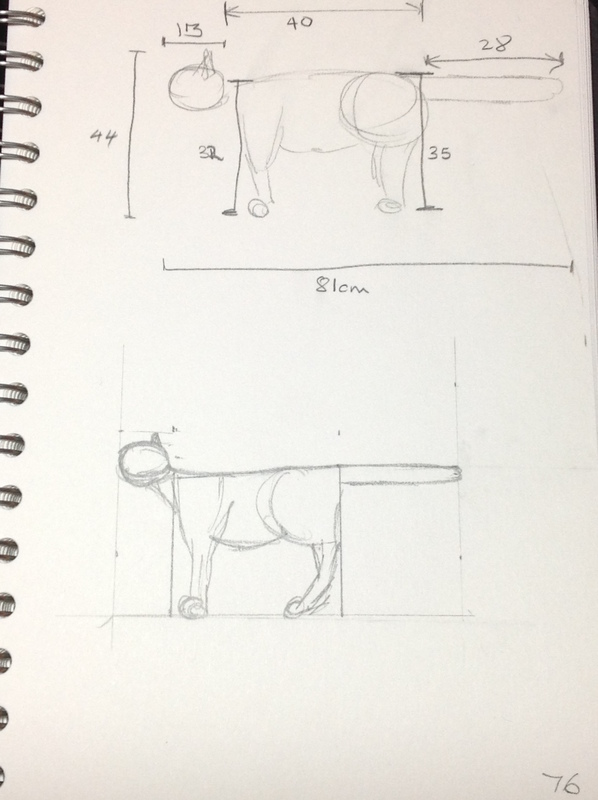 However, I got some basic measurements of Mewton, despite his desire to just sit down, and have done a rough technical drawing, side elevation, of said Mewton. It’s not my best technical drawing, to be honest, rather lacking as it does proper squares and, frankly, sufficient measurements. It’s also only the one elevation, though I may attempt more tomorrow. I’m sure the arse elevation will be of great artistic merit. I don’t even want to think about taking Grabbity’s measurements.